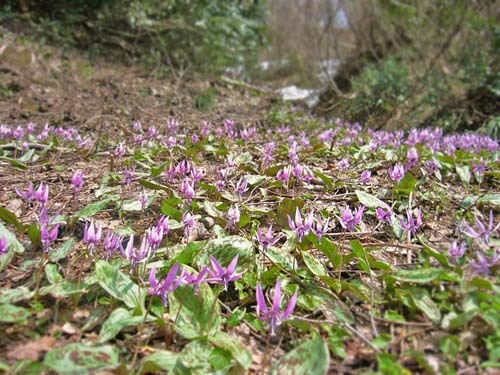 The dogtooth violet blooms at the end of April and you can enjoy views of long stretches of light purple flowers. The suggested season is spring. 70 minutes by bus from Echigo-Yuzawa Station(YS02), and get off at Morimiyanohara Station(YS41). About 15 minutes by taxi from Morimiyanohara Station. From Tokyo 15 minute drive from Morinomiyanohara Station. From Niigata 15min drive from Morinomiyanohara Station.